Our estate agents in Four Oaks cover the local housing market as well as homes in all surrounding districts. Love Your Postcode can accurately value your property and market it both online and offline to generate rapid interest in an exceptionally short period of time. We know that when it comes to buying, selling and letting properties, it is important to find an estate agent who has extensive knowledge, understands the area and can find you the best homes for the best prices. With a 99% selling price average since 2014, our results speak for themselves. We have a wide range of houses, apartments and flats for discrete private sale. Enquire about our waiting list. Located northeast of Central Birmingham, Four Oaks is a popular and exclusive area where our local property experts handle the needs of various clients. We rise to the challenge of selling your home in three weeks. We have a variety of different property and houses for sale, please check our properties search page. If you own a property in the area and need a team of experts who can assist in obtaining its true market value, Love Your Postcode can help. Just wait until you meet our property specialists, who have a refreshingly different approach and engaging way of going about their business. Our local estate experts at Love Your Postcode are here to assist you by helping you sell your property at exactly the right price, ensuring the final figure represents true rates for the Four Oaks area. We’d also like you to contact us if you’re a local landlord, particularly if you are looking to sell properties within your portfolio. The local branch is supported by a team that live locally, they pride themselves on their local knowledge and exceptional customer service.  Love Your Postcode™ – Our property experts live locally to you. Their core focus is on performance, offering all the services of a traditional estate agent but with a modern results led approach.